Pune had showers in some parts...The IMD station measured 4 mms in 12 hrs ended 8.30 pm Tuesday. Thunder Showers with hails reported from Mahableshwar..
Thunder Showers expected on Wednesday in Pune, Mahableshwar and South Madhya Maharshtra. 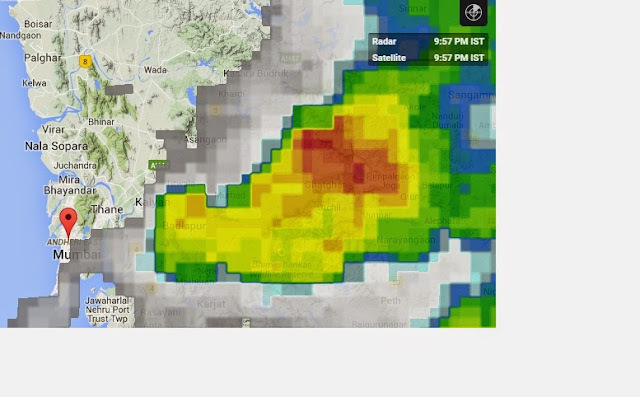 South Konkan can get showers. Mumbai will see thundery developments in the Eastern sky, but may not get rains on Wednesday 6th May. Eastern townships can get dust storm and thunder showers. 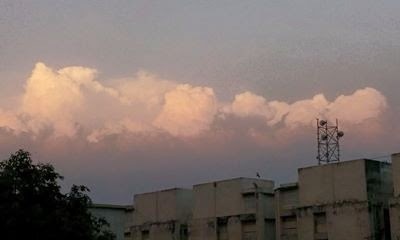 Today evening, Thunderclouds were developed in Eastern skies here in dapoli and weather turned bit cloudy after that. But still it didn't rained here as Thunderclouds moved away towards South East direction. Sir, When Thunderclouds will change its direction moving from East to west givings rains to coastal konkan also??? Kerala is facing rains from last month almost everday so is these rains are pre monsoon rains?? Raj: Generally, always, the thunder clouds forming inland in the east of Mumbai always move east or NE. It depends on the upper winds (to a small extent) and more on thermals caused by daytime land heating. 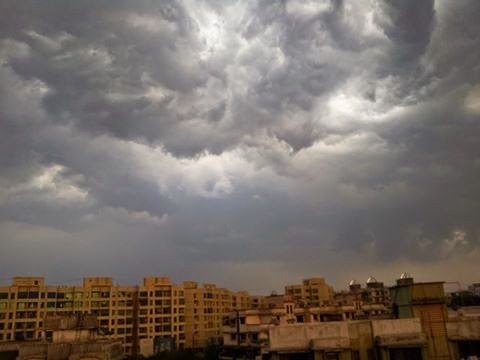 abizer: Gujarat rains yesterday were scattered and caused by daytime heating. Due to available moisture, we saw some developments. I might expect rains in Mumbai region next Wed...but will put up on Sunday or Monday.